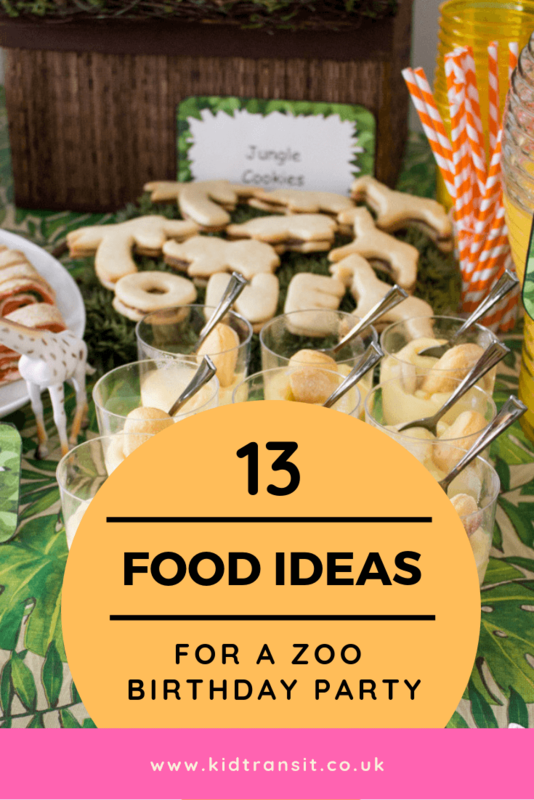 Wondering what you’re going to feed those hungry guests at your zoo-themed party? We have a whole host of yummy food and drink ideas to suit both big and little taste buds. Choose from scrumptious monkey snacks or a monster alligator sandwich. Wash it all down with some jungle juice! 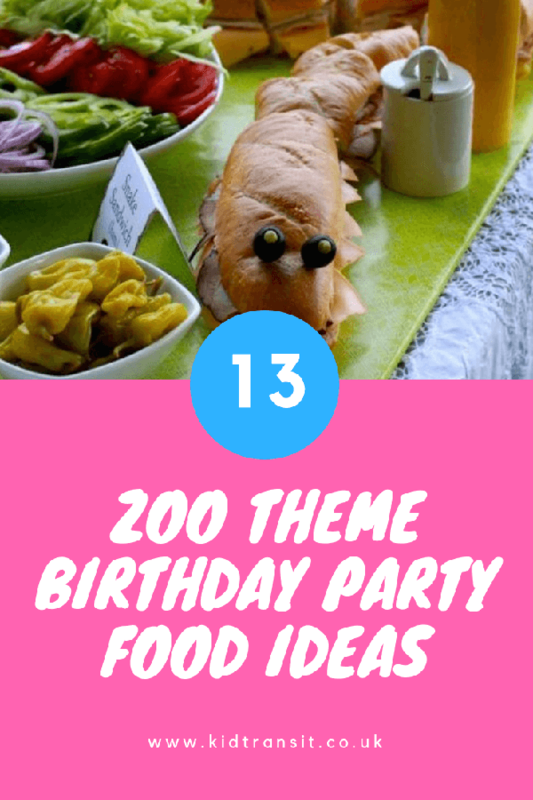 Looking for more zoo-themed first birthday party ideas? You’re in the right place! Check out our full guide here. 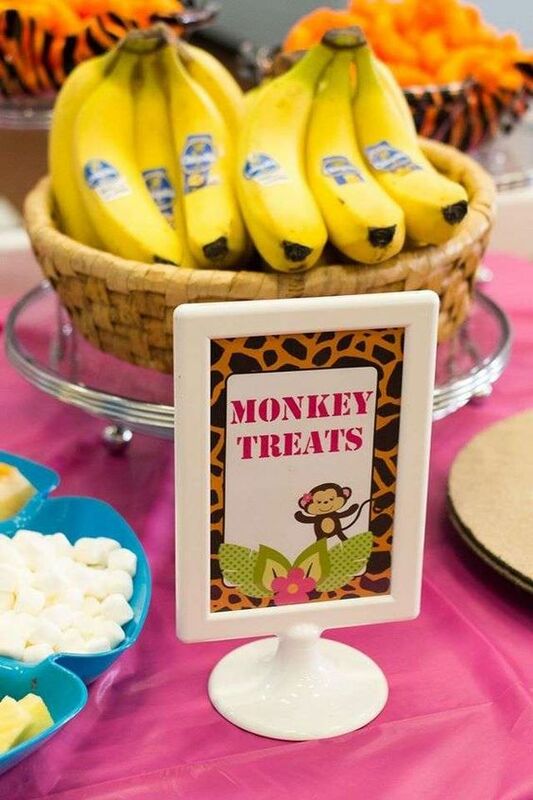 Be sure to offer something healthy for the toddlers to munch on. 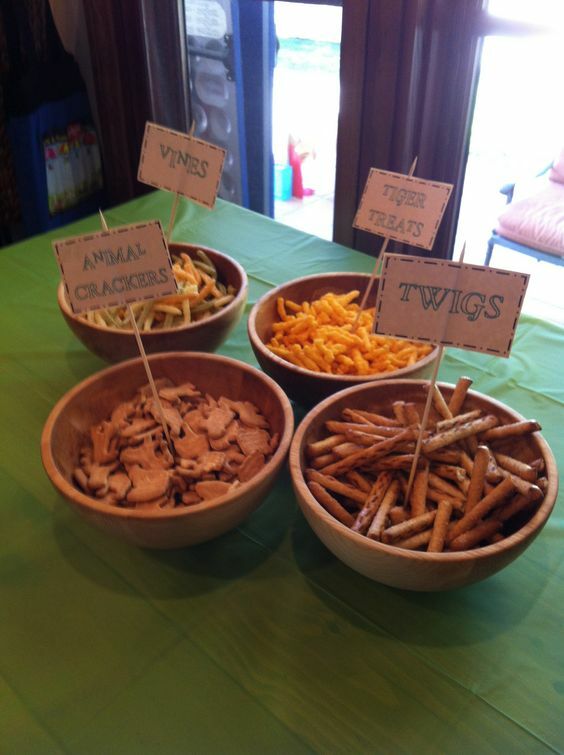 Parents will be thankful for nibbles that slowly release energy, rather than super sugary treats. Meanwhile, bananas totally fit the theme. Let the supermarkets do all the hard work for you and grab some animal biscuits to top off your fairy cakes. You could cheat even more by buying some ready-made bakes. Finish them off with some coloured sprinkles for a homemade feel. 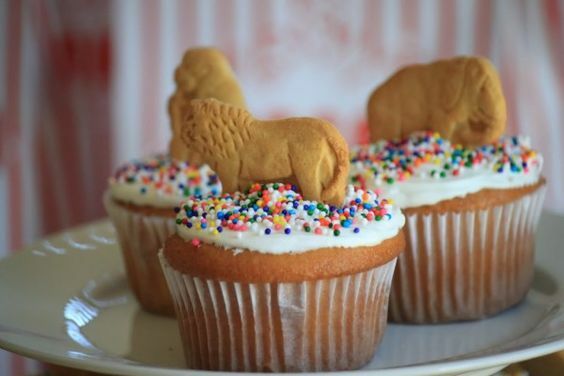 Struggling to come up with ideas for a zoo-themed birthday cake? We have rounded up a list of our favourite recipes here. Get your thinking cap on and come up with some creative names for your regular snacks. 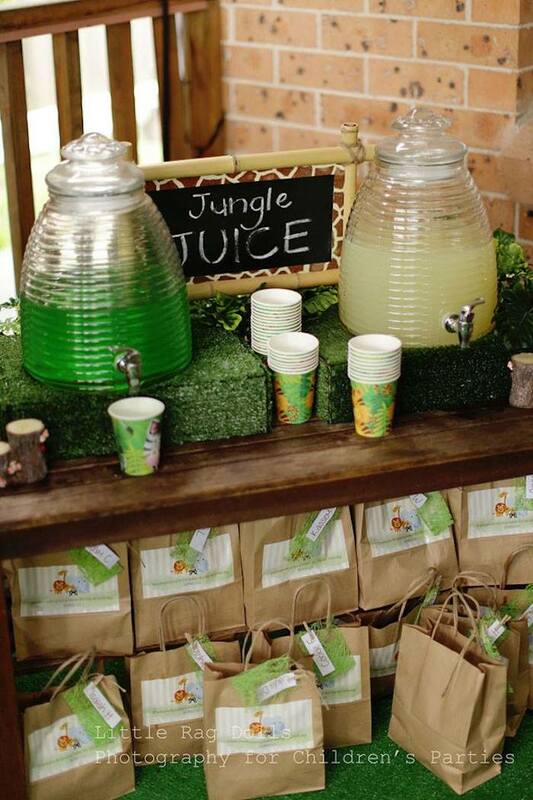 Keep your guests hydrated by offering a selection of tasty juices. We love the idea of putting them in funky drinks dispensers, but maybe have a grown-up on hand to help little fingers. With a couple of baguettes and an array of tasty fillings, you can re-create this scrummy serpent sandwich. A bit of red pepper will work perfectly as the tongue. 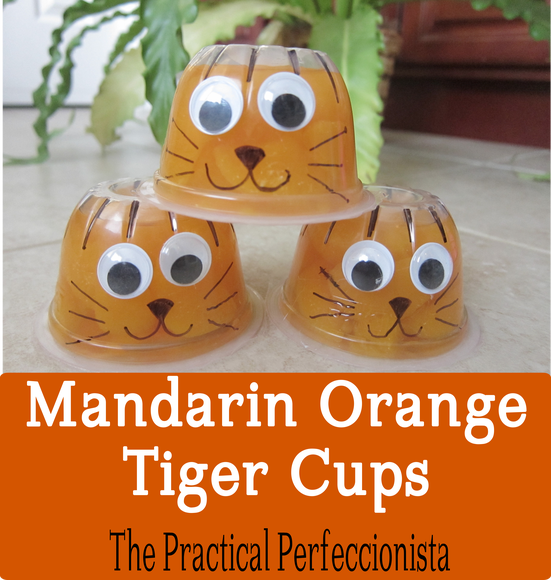 Spruce up your jelly cups with some adorable tiger faces. You could get really creative and have different animals for each flavour. We’re thinking strawberry monkeys, lime snakes and lemon lions. 7. Snacks you will never forget. 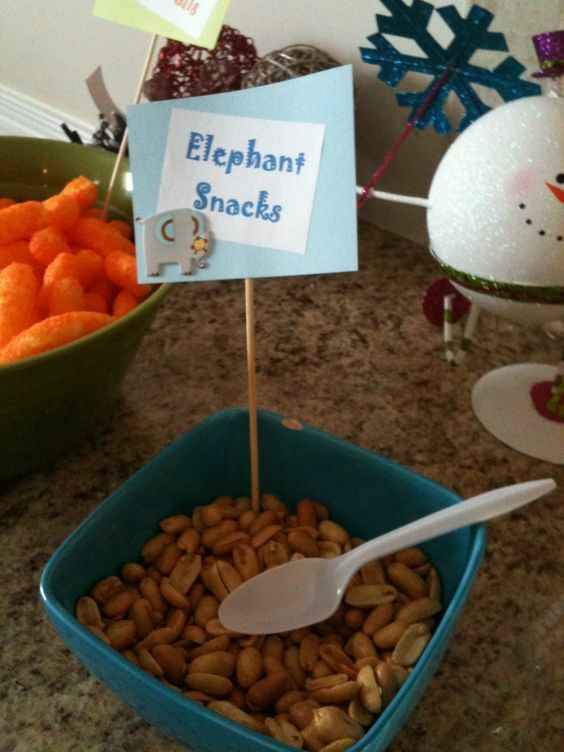 Peanuts are the classic snack for elephants, just be sure that no one on your guest list has an allergy. If you are unsure, swap them out for something like crisps or even miniature sausage rolls. 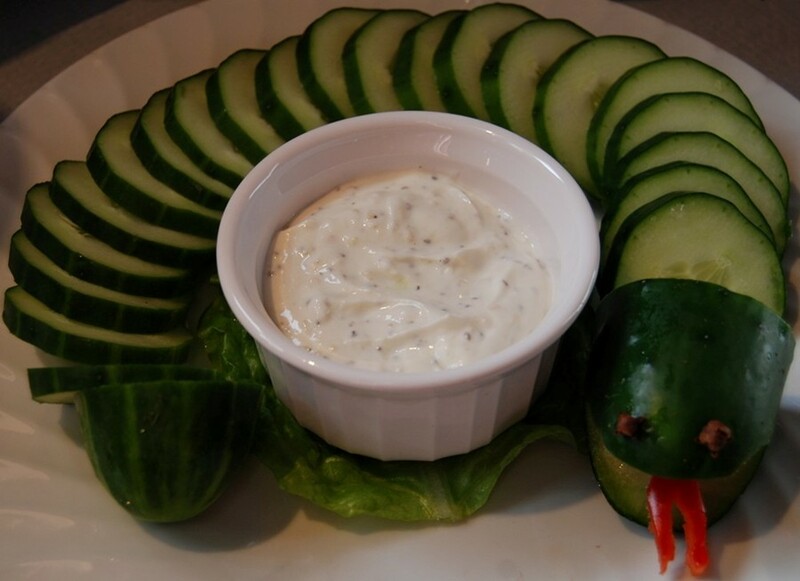 Chop up a cucumber to form this sneaky vegetable dip. For afters, serve up something sweet, yet nutritious. 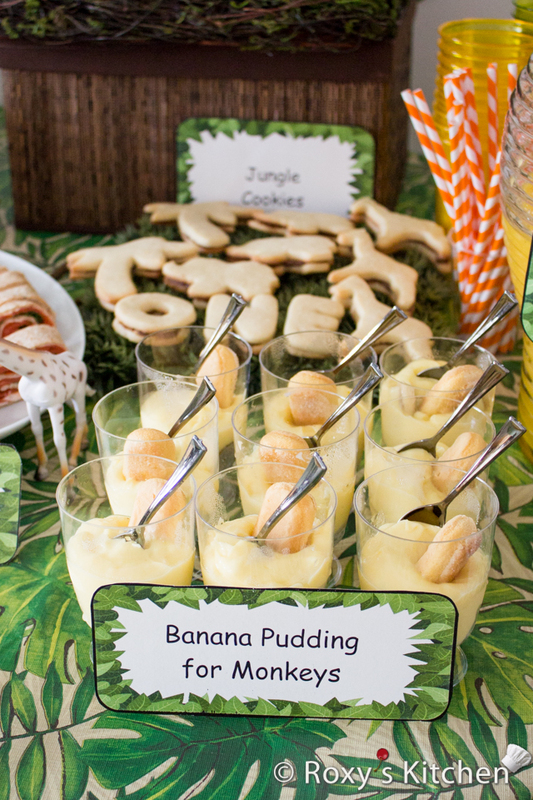 Try these mouth-watering monkey puddings. 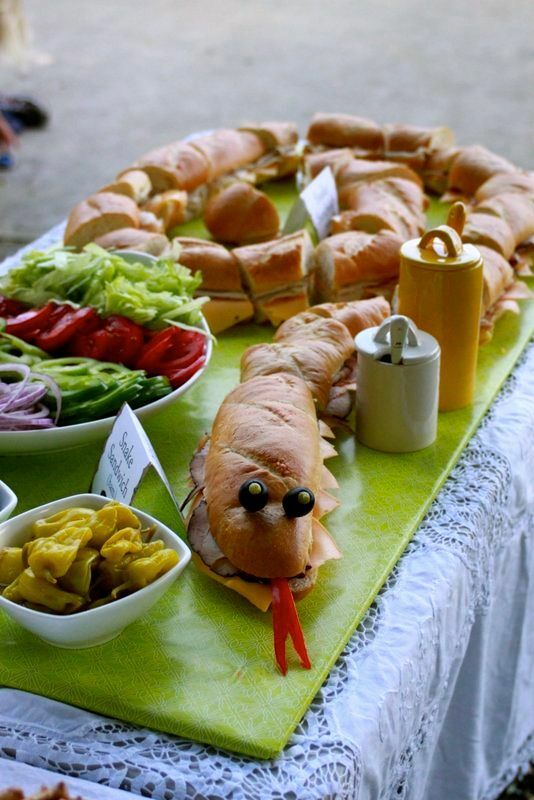 The snake baguette was pretty impressive, but we are also truly inspired by this hefty crocodile sandwich. Make a centrepiece for your table with a few loafs of plaited bread and a mix of different fillings. Just be sure to chop it up into smaller portions for your little guests to enjoy. We love the idea of making your table a focal point for the party decor. 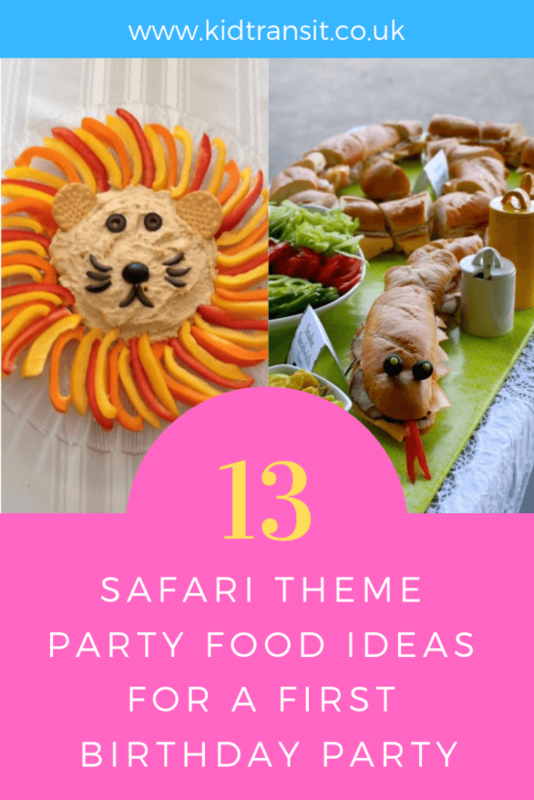 If you’re looking for inspiration for how to dress your venue for your zoo-themed birthday bash, please check this blog post out. A party is not a party without a few E numbers. 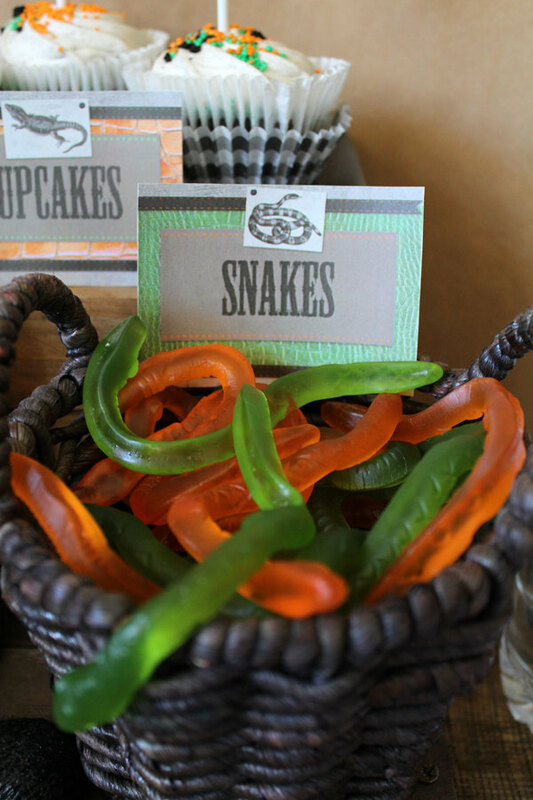 There are plenty of tasty candies out there that already take the form of zoo animals. 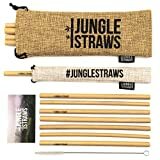 Source: Sassaby Parties Etsy Store. 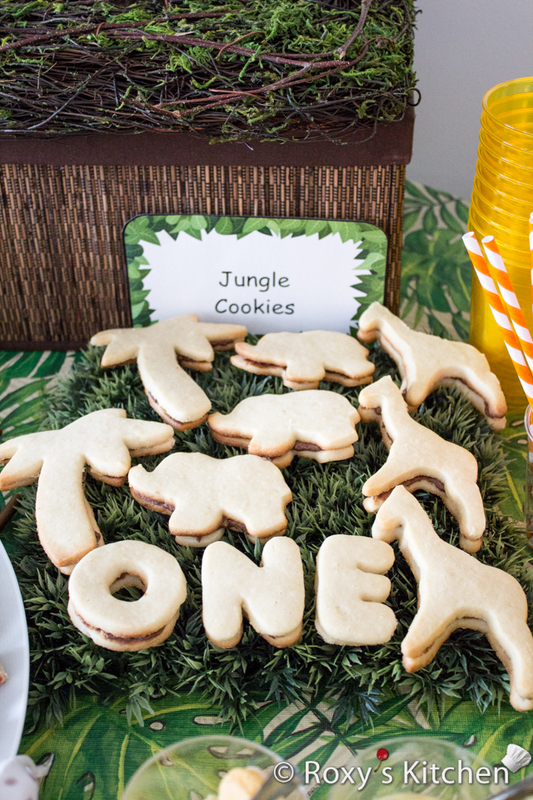 If you’re a star baker, be sure to rustle up some of these moreish jungle cookies. 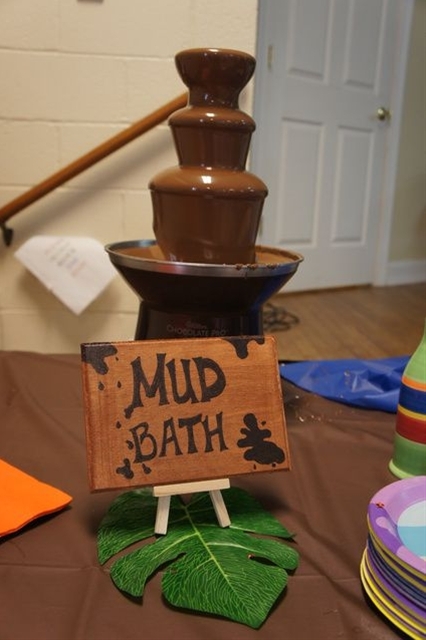 If your party isn’t sweet enough, indulge with a chocolate or ‘mud’ fountain. Children and adults alike will love dipping sweeties, marshmallows and fingers into this luscious waterfall. Enjoyed this post? 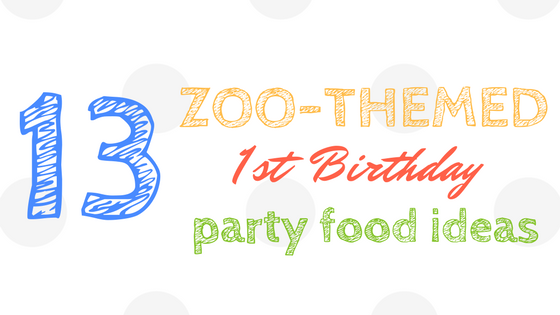 You may like our full guide on how to throw a zoo-themed birthday party for your one-year-old. 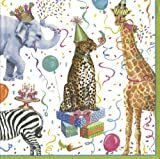 If you want some zoo themed party plates, straws and napkins to go with all the food then take a look at some of these products on Amazon.